Following the record success of the first Vegan Street Fair in 2015, organizers have returned to the North Hollywood streets with three times the square footage to accommodate the masses interested in vegan eats with a few new improvements. 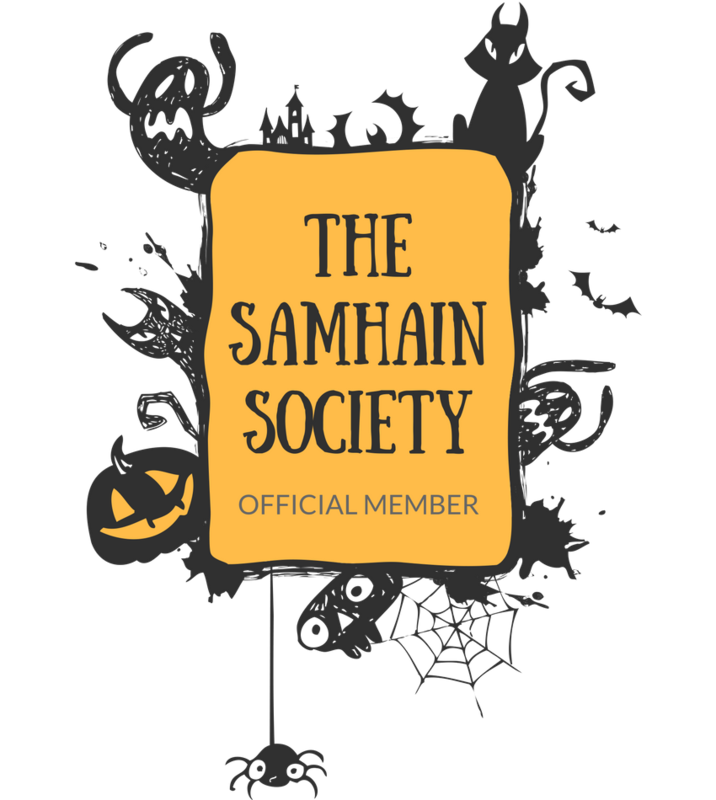 Last year’s event garnered over 9,000 attendees and this year, organizers are prepared for the masses with three times the space, six times the food ticket lines, and over double the vendors of last year. “After the unprecedented turnout of our first event in NoHo despite the hail, it became clear that vegans and non-vegans alike share an unwavering love for vegan food,” says founder Jessica Schoech. “We just want people to have fun while eating vegan food,” she says, “and now that we know the demand is there, we’ve upgraded to a larger venue space to accommodate everyone." The annual vegan food celebration where local vegan and vegan-friendly restaurants and vendors come together to serve vegan eats all in one place boasts free entrance, bite-sized items, and easy access to public transportation. 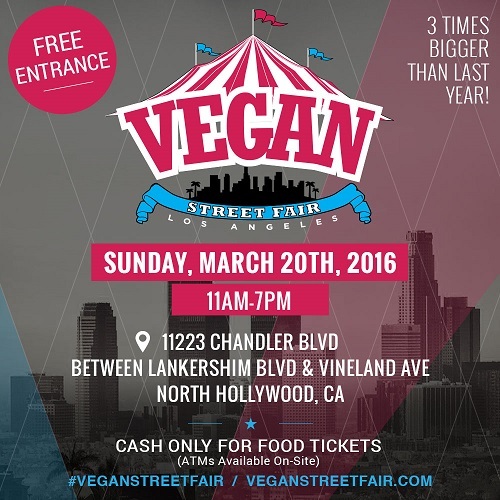 The event takes place on Sunday, March 20th, 2016 from 11am - 7pm on 11223 Chandler Boulevard between Lankershim Boulevard and Vineland Avenue next to the North Hollywood Metro Red Line. 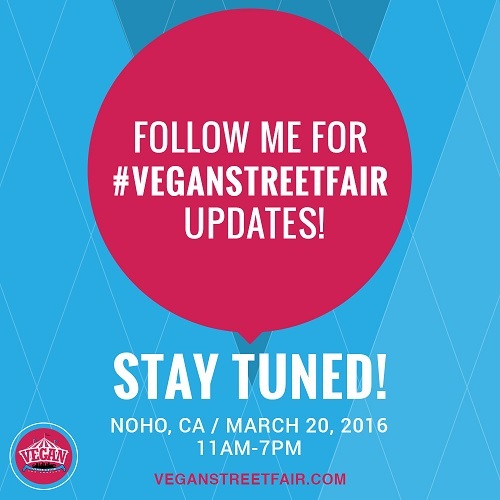 Vegan Street Fair will be hosting over 100 booths on over a half mile in the NoHo Arts District. 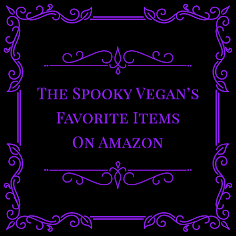 Vendors will be selling vegan themed apparel, corn dogs, pizza, sushi, soft serve, cupcakes, juices, and a wide array of other animal free items. In addition to the $3 or less bites, Vegan Street Fair has added an optional Big Plate Special for attendees eager to eat more than just a small bite valued at more than $3. Other improvements include over 30 ticket lines, a VIP ticket that acts as a fast pass for front of the line food and beverage access, free water for all attendees provided by Aguavida Premium Water, and clear signage highlighting vendor names, menu items, and allergy information. Some tips for enjoying VSF include arriving early, bringing cash only for food tickets, taking public transportation, and sharing bites and big plates with friends. 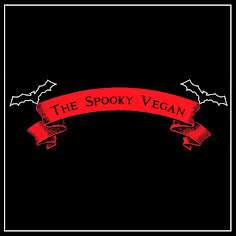 Follow me on Instagram and Twitter (@thespookyvegan) for live updates! I had a great time at this event last year (read all about it HERE), and this year looks INSANE with how many amazing food vendors will be serving up delicious vegan food! I can't decide where I want to start! Some of the food vendors I definitely want to try are Blue Window, Casa Coqui, Cup my Cakez, Shugah Mama, Yoga-urt, as well as some old favorites like Donut Friend, Shojin, SunCafe, Vegan Pizza, and many, many more! The event is free, but you can purchase front-of-line VIP tickets to ensure you get your grub on at all your favorite booths! 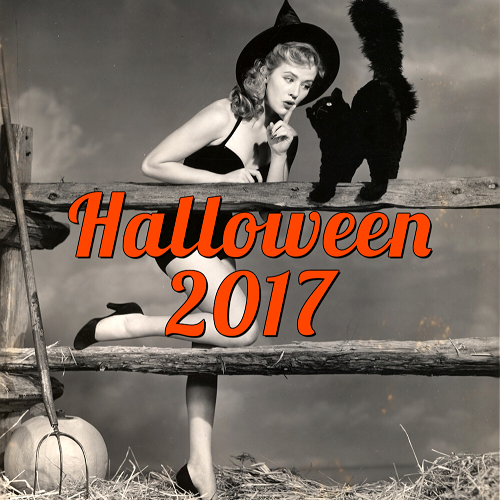 You can find links to tickets and more info on parking, vendors, etc. on Vegan Street Fair's Facebook event page or on their website!